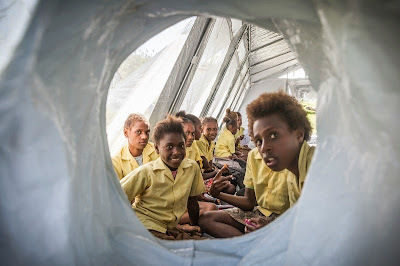 After a disturbing event like Cyclone Pam it's important to get children back to learning and playing as soon as possible. 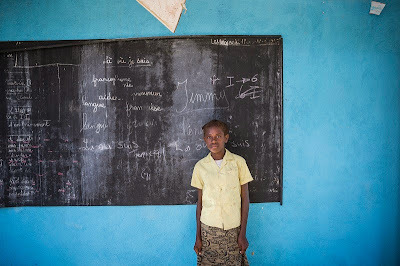 Unfortunately, many of the schools in Vanuatu were heavily damaged and will take months to rebuild. 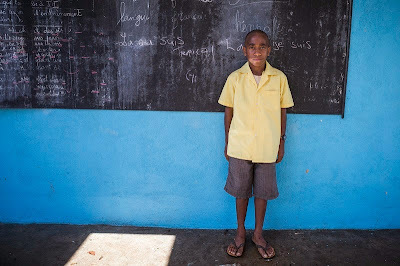 But, thanks to UNICEF's support, pupils from St Joseph's College and Vila East Primary school were able to get back to school yesterday. "When we got to the garden after the storm we saw the birds were all dead. The wind had killed them." 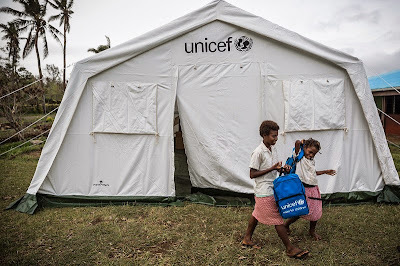 To get children back to school, UNICEF provided a spacious tent to act as a temporary school shelter. 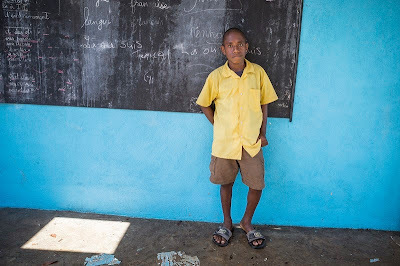 Now, Aldo, Ellen and Damasen and all their friends are back at school. 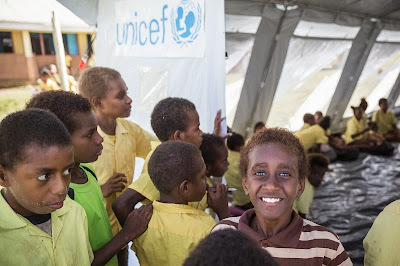 They are able to start learning, start socialising, and start putting the events of Cyclone Pam behind them. "Thank you for giving us this tent. Thank you very much!" 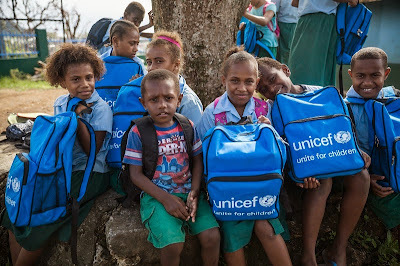 Students of Vila East Primary school also received new schoolbags filled with school supplies, many of which were lost during the cyclone. 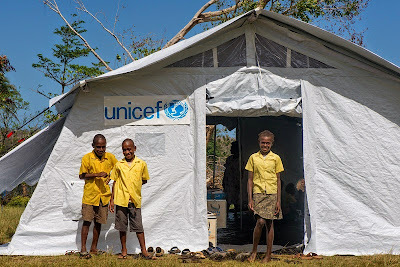 The school received a tent from UNICEF, allowing children to get back to class while their old schools are being repaired.